The Measuring 39 inch length x 26 inch width x 2 inch thick is an option available for the STOCKHOLM 5-Position Folding Armchair, a comfortable, beautiful addition to your backyard. Enjoy the warmth and beauty of solid Acacia hardwood outdoor furniture that you can enjoy year round. Made with acacia wood with water-resistant properties that makes it suitable for outdoor use in Canada. Bring the comfort of your living room outside with this collection's new stylish and decorative outdoor throw cushions. These cushions instantly add a splash of fun to any outdoor space. Mix and match colours to create the ultimate outdoor experience. Each cushion is constructed with a durable 100% Polyester fabric that is specially treated to stand up to the elements. Replacement deep seat cushions made with 100% polyester fabrics. Made to fit a variety of outdoor furniture sizes, these versatile cushions are crafted with premier outdoor performance fabrics. Selecting one of the trend forward colours will give your current furniture new life. Adding outdoor fashion pillows will complete the look. 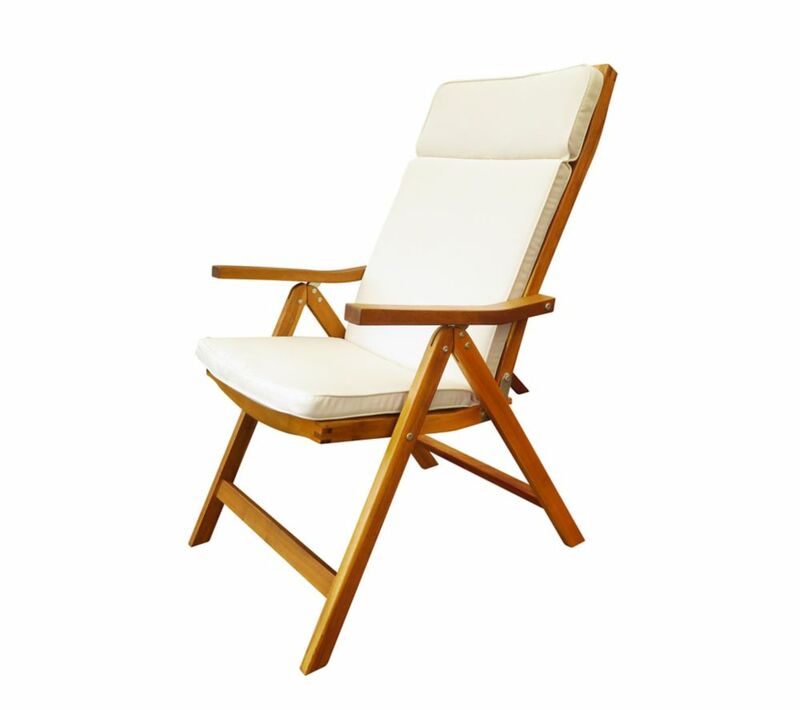 Cushion for 5-Position Chair, Cream The Measuring 39 inch length x 26 inch width x 2 inch thick is an option available for the STOCKHOLM 5-Position Folding Armchair, a comfortable, beautiful addition to your backyard. Enjoy the warmth and beauty of solid Acacia hardwood outdoor furniture that you can enjoy year round. Made with acacia wood with water-resistant properties that makes it suitable for outdoor use in Canada.